The hardest part for many organizations in creating a steady stream of fresh content is figuring out what you should be writing about. This stumbling block trips up many well-intentioned folks and can cause long gaps in the content publishing stream. The main tool for removing this barrier is an editorial calendar. 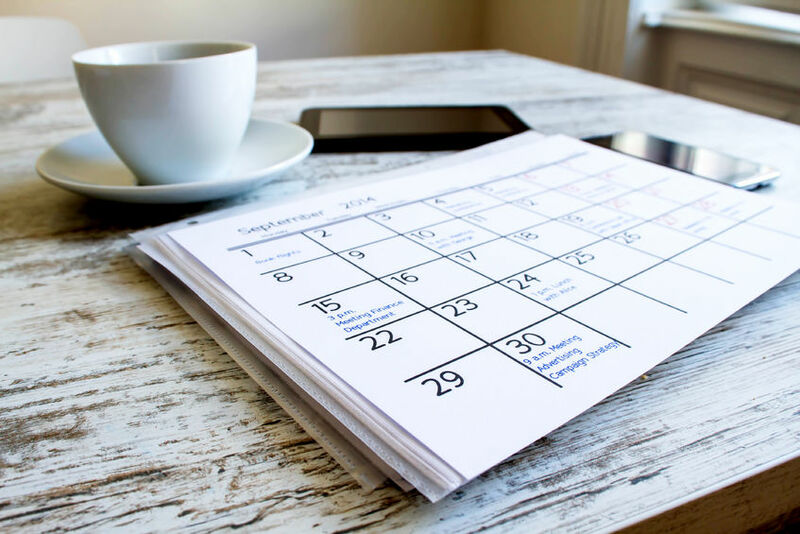 Building an editorial calendar can seem daunting at first, but we use three easy strategies with our clients to help them build a sustainable editorial calendar that ultimately dovetails with the overall work of the organization and makes it easy to keep the content flowing. The first strategy we employ is to break the year into quarters and help our clients figure out what their primary activity is for each quarter. If the organization does state-wide legislative advocacy, the state legislative session will be the focus of their efforts for at least one quarter. If the organization promotes programs for young adults, they might focus on schools and universities in the second calendar quarter when students are looking for opportunities for employment or education. If the organization is concerned with environmental issues such as reducing carbon footprints, they might focus their efforts on conserving energy in the summer months or the winter months when energy usage peaks. The examples can be endless, but breaking the calendar into four bit-sized chunks to help focus your content management helps to make everything just a little bit easier. A second strategy that we encourage our clients to follow is to map out the release dates for any print publications. This could include research or opinion papers, advocacy reports, quarterly or monthly magazines or newsletters, and even annual reports. The release of any new publication is a resource that can fuel your blog entries and social media posts for some time. This strategy is covered in great detail in a previous post on our blog, and you can find it here. The third easy go-to strategy that we use to help our clients build an editorial calendar is to survey the organization and its constituent communities to figure out what is actually happening each month. At the organizational level, there might be a time of year where there’s a stronger push for individual contributions, or when the organization celebrates an anniversary or sponsors a high-profile community event or gala. These can be excellent opportunities for focusing content on a particular topic that can dovetail with each effort. Likewise, understanding what’s going on in your constituent communities throughout the year can help you provide timely content that will get noticed and help position your organization as a thought leader. Maintaining a steady stream of content is a challenging task for any organization. The ones who are successful at it generate and follow an editorial calendar to help keep the content flowing. These easy strategies can help any organization get a jump start on building an editorial calendar that will capitalize on work already happening in house, which will make it easier to maintain that steady stream of content over time.